It may be the closest Mediterranean island to the UK, but Corsica remains one of the region's wild and unspoiled gems. It’s perfect for families who want to combine seaside fun with a splash of adventure – whether it’s horse riding in the mountains or trying out a new watersport. Corsican Places has the island covered – its villas and apartments are great value for families. 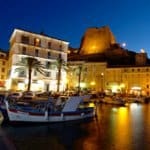 An island of great beauty, Corsica is a destination that offers something for everyone. The coastline combines miles of sweeping golden sands, towering cliffs and intimate hidden coves whilst the rugged interior of maquis-covered hillsides, thick forested valleys and some genuinely jaw-dropping mountain scenery are breathtaking. Add to the mix outstanding food and wine, a fascinating culture that’s both French and Italian, some excellent accommodation and an easy journey, and you have a stunning family holiday destination. At Corsican Places, we have an excellent range of family-friendly places to stay, including self-catering villas, apartments and résidences, plus a variety of hand-picked hotels right across the island. From the regions of St Florent and la Balagne in the north, to the Gulfs of the West Coast and L’Extrême Sud regions further south, it’s easy to soak up the very best of island life with the destination specialists. For self-catering escapes, ideal for holidaying with other families for example, Maisons Bervily is one of our most popular choices. Comprising six attractive two-bedroom terraced houses and two apartments set within mature gardens with a shared pool, it’s just a 10-minute walk along a quiet path to reach Calvi’s shops, restaurants and gently shelving sandy beach. In the pretty seaside town of L’ile Rousse, Résidence Saletta offers a great family holiday location with one and two-bedroom apartments just 400 metres from the beach. With peaceful grounds and two shared pools, there’s plenty of space to relax despite being so close to the centre of town with restaurants and shops. In the south, the hill-top town of Porto Vecchio has become Corsica’s top tourist region with some of the best and most accessible beaches on the island. Salina Bay consists of one and two-bedroom apartments with a shared pool, swim-up bar, fitness room and children’s playground. The old town, with its cobbled streets and citadel, is just a 15 minute walk away. For a sought-after location by Corsica’s famed Santa Giulia beach, with its turquoise waters, look no further than Santa Giulia Palace – a very attractive residential complex comprising one- and two-bedroom apartments and studios located right next to the bay. If you prefer your own villa with a private pool, we have a wide choice, many with a fenced pool. Our Premium collection includes Villa 18, close to the beautiful beaches in Corsica’s south west. This state-of-the-art luxury villa sleeps up to 10 and ticks all the boxes with its striking interior and top notch facilities such as a cinema room and fitness room plus free parking at Santa Giulia beach and restaurant Playa Baggia on Palombaggia beach, exclusively for Villa 18’s guests. For contemporary and spacious accommodation, Villa Gemma is in a stunning location just below the village of Lumio. Or check out the three-bedroom Villa l’Oriu just outside Calvi, with its privileged position close to the beach with spectacular mountain views. As the Corsican specialist, we offer our very own direct charter flights into all four Corsica airports – Calvi, Ajaccio, Bastia and Figari partnering with Air Corsica and Flybe. Click here for the Corsican Places’ full range of accommodation and our latest special offers.